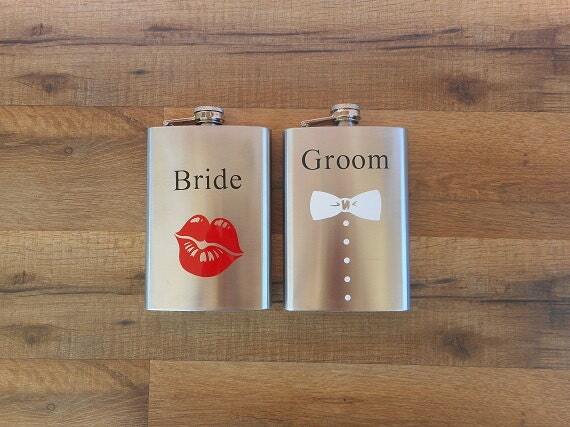 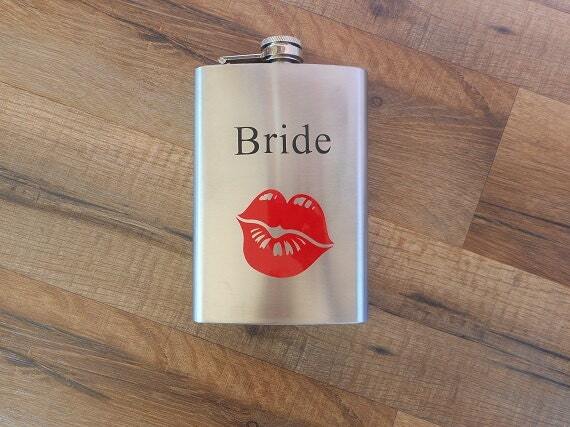 Super cute set of whiskey flasks for the Bride and Groom..! 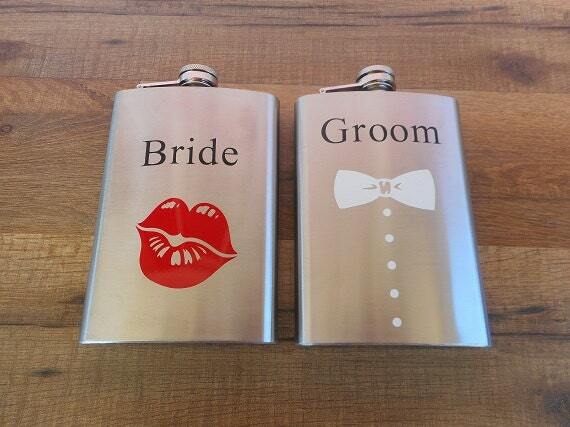 ♥ Bride and Groom are done in black vinyl. 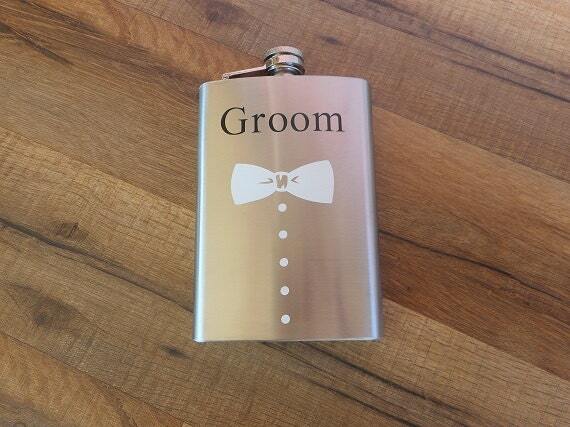 ♥ Bow tie white vinyl. 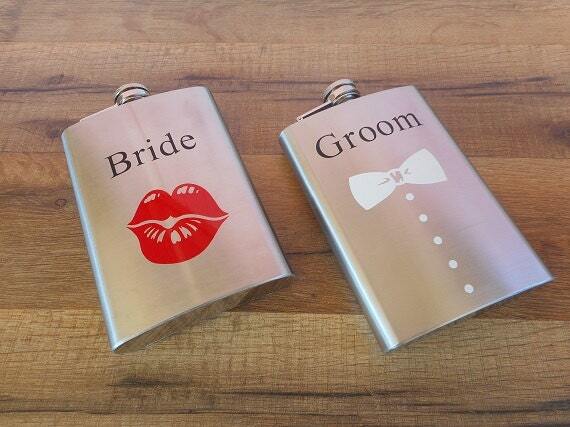 Each flask will receive a care sheet on how to care for your flask.